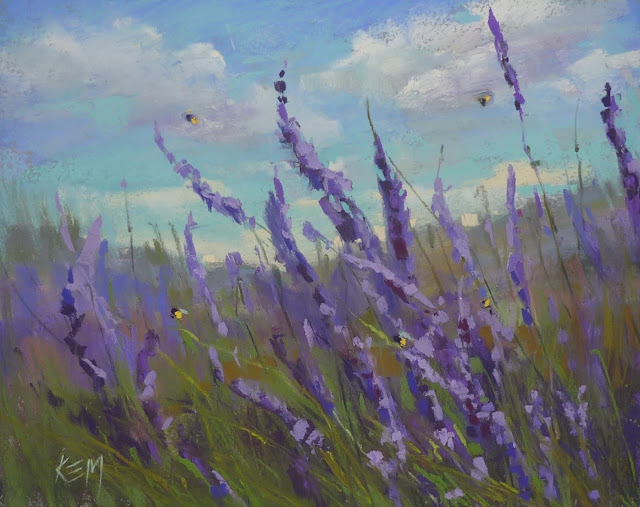 Painting My World: Painting Provence part 2 ...Bring on the Lavender! 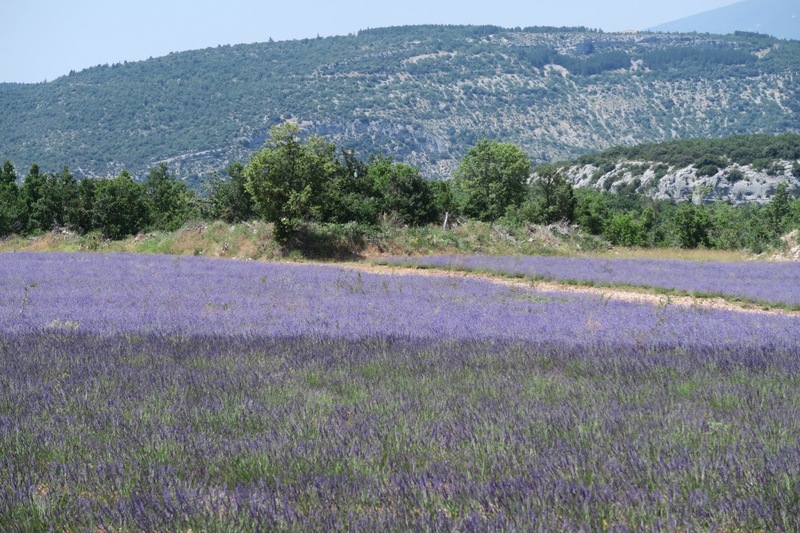 Painting Provence part 2 ...Bring on the Lavender! We came for the lavender and we weren't disappointed! We came away with so much more but it was the lavender that we wanted to see first. 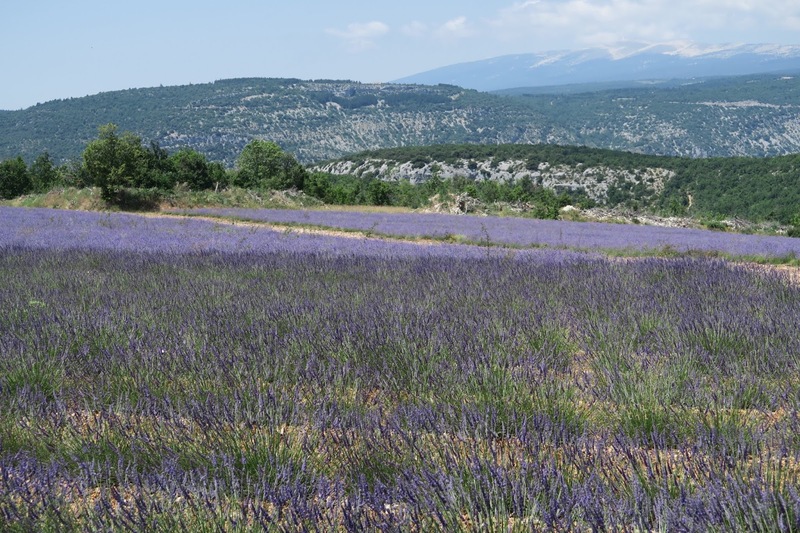 So our first excursion after our day of rest and jet lag recovery was to take one of the suggested routes to see the lavender fields. There are several suggested routes and bloom times depend on altitude and location. Here is a good website to get an overview of some of the routes. We had rented a car so that we would be free to take excursions around our home base. 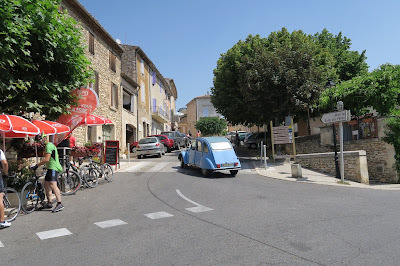 We found out quickly that the roads are very narrow and the drivers are fearless (and fast) We had a few hairy moments but our driver Sharon was magnifique! 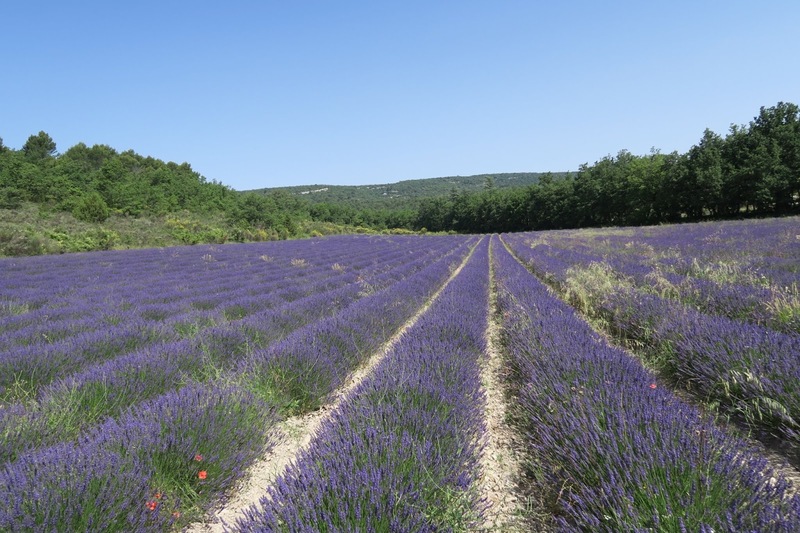 Sharon also planned out our lavender route and it was a perfect day of lavender immersion. Planning the route for the best chance of seeing lavender in bloom! 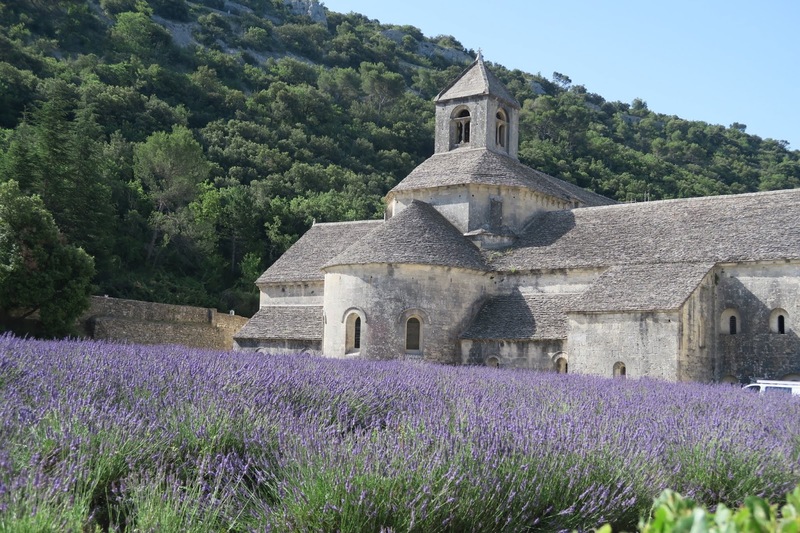 We began out tour with a stop at the Abbaye de Senanque. 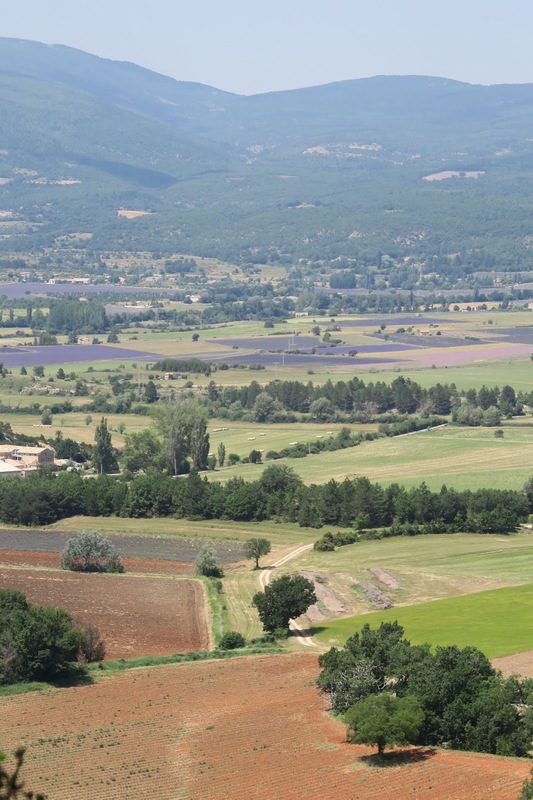 This is the place of the iconic lavender in Provence photo. It was a very good thing we got an early start. We parked and walked down to the Abbey and took our photos. As we wandered around the place was filling with cars and people very rapidly. It was no longer a peaceful place. It was a madhouse. Back in the parking lot tour buses fought for a place to unload and cars lined up to grab newly vacated spots. It was time to move on! We drove all day making stops whenever we saw something that made us say OOOOOHHHHH and AHHHHHHH. That means we made many many stops! At the first lavender field we saw we stopped. It was amazingly beautiful. It was also loaded with bees. The sound of the bees and the cigales (cicadas) was almost deafening. And the scent of the lavender was intoxicating. I LOVE lavender! 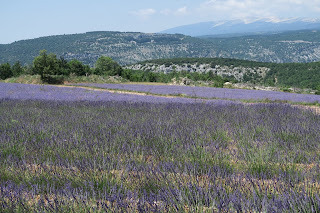 I really wasn't sure what to expect as far as what the lavender fields would look like. Somehow I had imaged that they stretched for as far as the eye could see like a giant sea of lavender. We did find a few spots like this but most of the fields we saw were contained and bordered by trees. 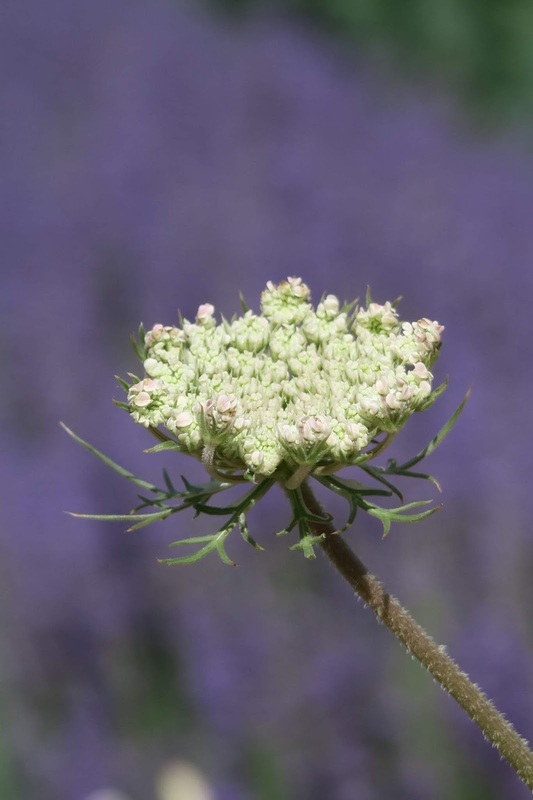 We noticed that the lavender varied in color with some being quite dark and some being almost pink. Of course the light and time of day changed the color of the lavender. Unfortunately most of the fields we saw were in the flat light of midday. Later in the trip we would visit the fields during the magic hours! A field with poppies and Queen Anne's Lace....perfection! 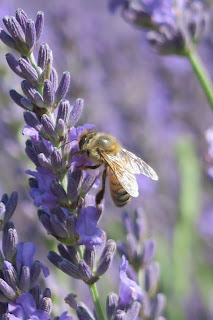 One of my favorite stops was at a small field of lavender. 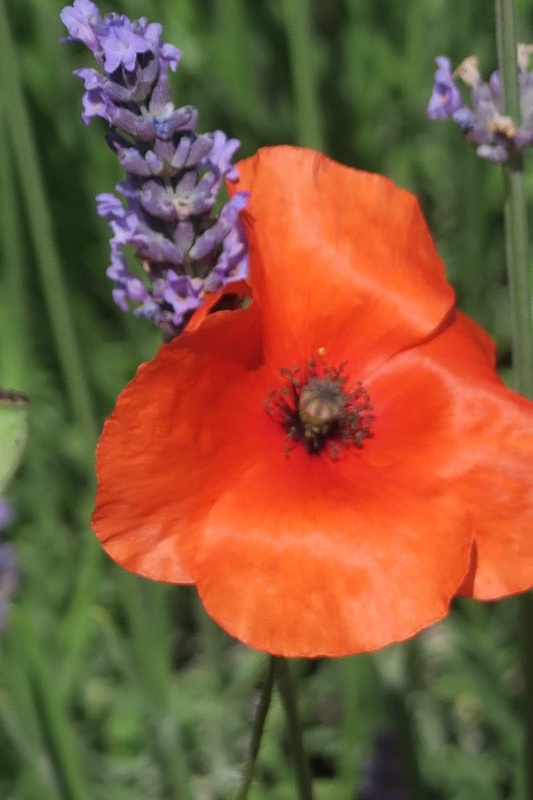 I liked it because it was a little rough around the edges and there were patches of poppies and QA lace mixed into the lavender. Can it get any better than that!? Half way through our drive it was time to stop for lunch. This stop and lunch was to be one of our most favorite stops! The village was Saint Saturnin-des-Apts. We sat outdoors at the village cafe and had the most delicious lunch. I had the first of many tomato mozzarella sandwiches on a fresh baguette. It was a wonderful stop. The rest of the day was spent driving and stopping for photo ops. I couldn't get enough! In the photos below you can see the change of color in the fields. Later in the trip we went to the Museum of Lavender to learn more about what we were seeing. Look at those layers of color! It was purple heaven! Below is a photo from one of the hilltop villages. You can see the patchwork of purple in the distance. 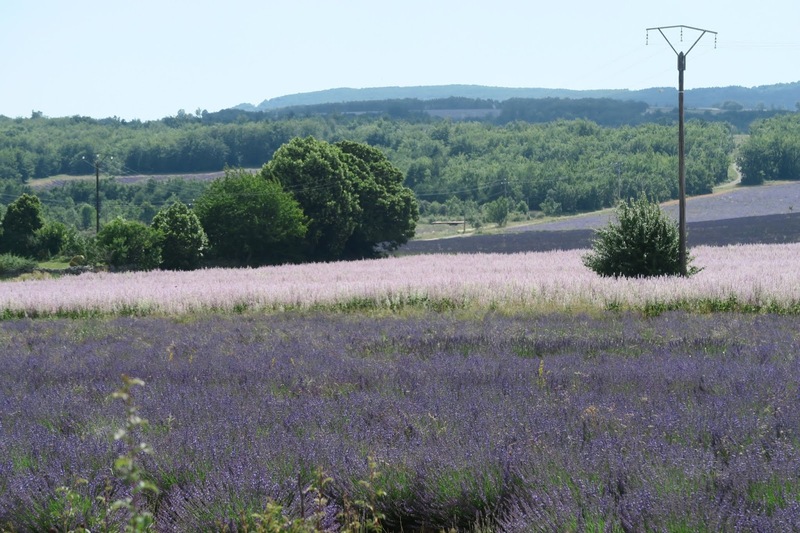 We would see these lavender fields up close at the end of our drive. It was a long day and we returned home happily satiated and inspired. 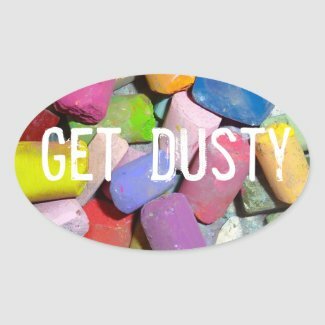 I couldn't wait to get out my pastels and paint! 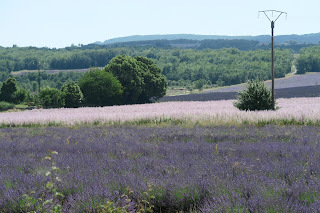 We would see much more lavender as the days passed including some fields that were just down the road from our village. Yes. 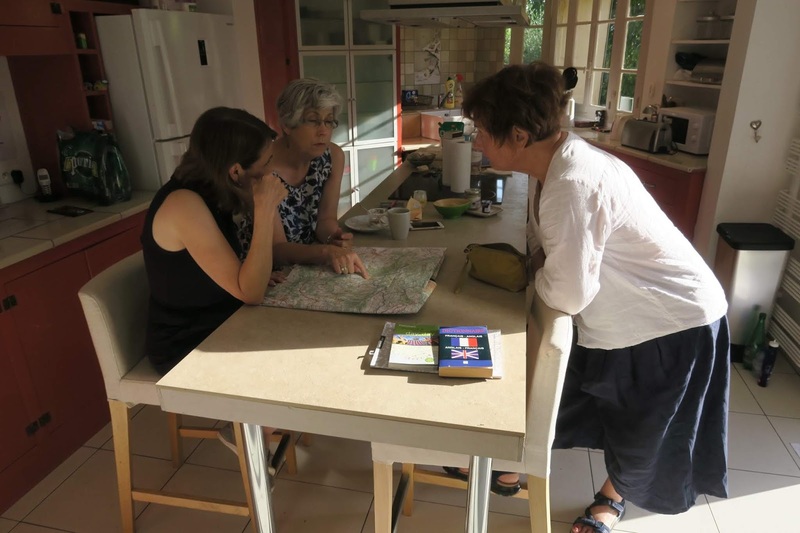 We had done well with our choice of Goult and Elias House and as we wound down with some good wine we toasted the start of a wonderful adventure.